Just Reduced! Rare and highly desirable Campus Hills Estates single story! This beautifully updated dream home features an open floorplan with 3 bedrooms, 2 bathrooms, and 1,222 sq. ft. of living space. Upon entry, you are greeted by spacious vaulted ceilings, recessed lighting, hardwood floors, and a warm fireplace, perfect for entertaining. No expense has been spared in the kitchen with new cabinets, granite counters and tile backsplash, stainless appliances, and lighting which opens to the breakfast area with large double French doors to the backyard. The private master suite offers large mirrored closet and remodeled master bath. Upgrades include light fixtures, new hardware, double pane Pella windows, and programmable HVAC. Absolutely gorgeous second bathroom completely remodeled with custom vanity, mirror, shower, lighting & stunning ceramic tile flooring. This home is conveniently located just a short walk from HOA recreation area which includes pool, spa, playground, basketball courts, and clubhouse. Another HOA recreation area is also located within a short walk or drive, as well as award winning schools, parks, and shopping. 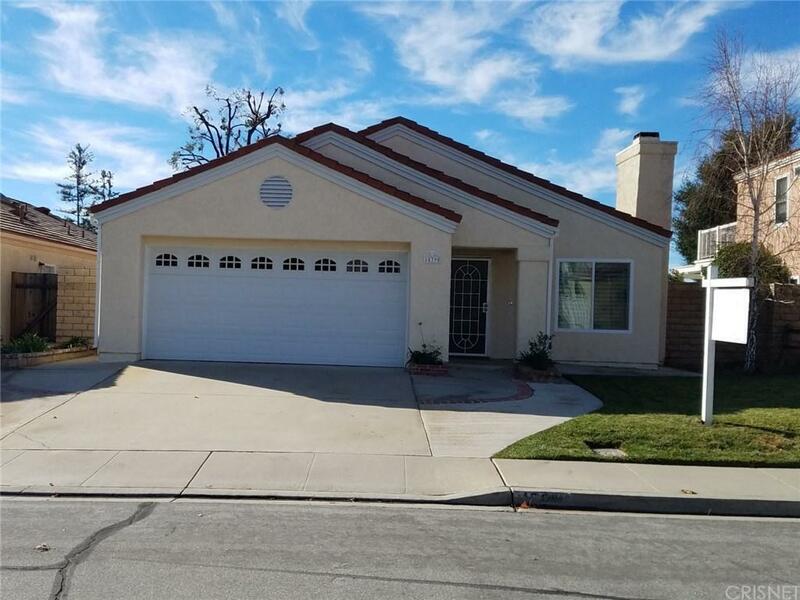 Just minutes away from access to the 23 and 118 freeways, this home offers it all! Sold by Misty Smoke BRE#01518959 of Pinnacle Estate Properties. Listing provided courtesy of Michael Churney DRE#01518959 of Bridgeport Real Estate and Jeff Barton CA DRE# 01214188 of .